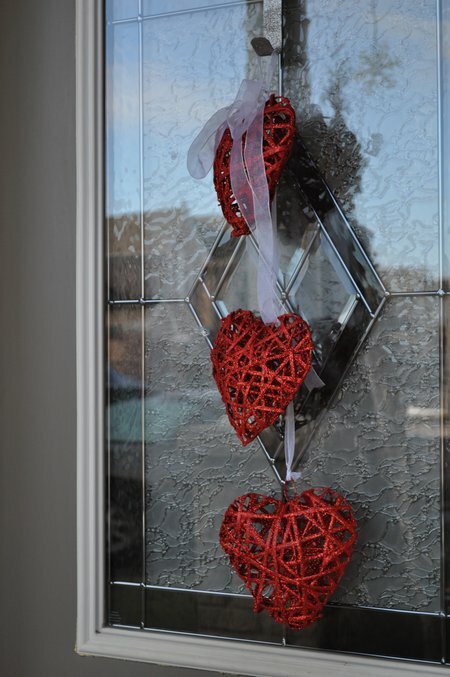 I wanted to add a little Valentine’s Day fun to our front door for our party. 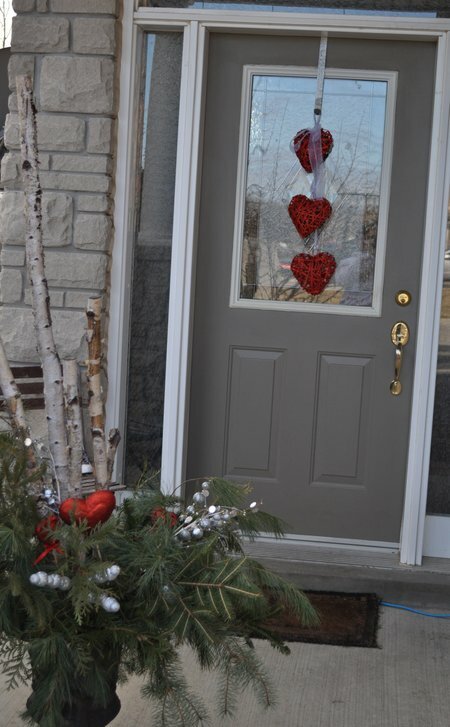 There’s always so many beautiful wreaths around blogland, that I was inspired to add a little Valentine’s touch to my own door. I went to my favourite store -the dollar store, and found these fun woven hearts. They weren’t quite big enough, so I bought three, and strung them on some white ribbon. Simple but cute. 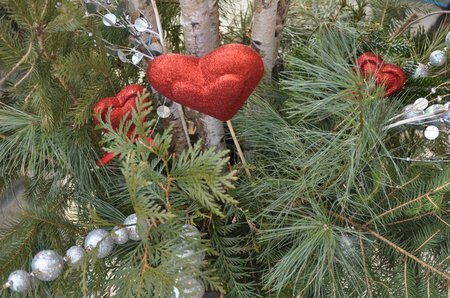 My Christmas urn was frozen, so I just added three glittering red heart pics, also from the dollar store.